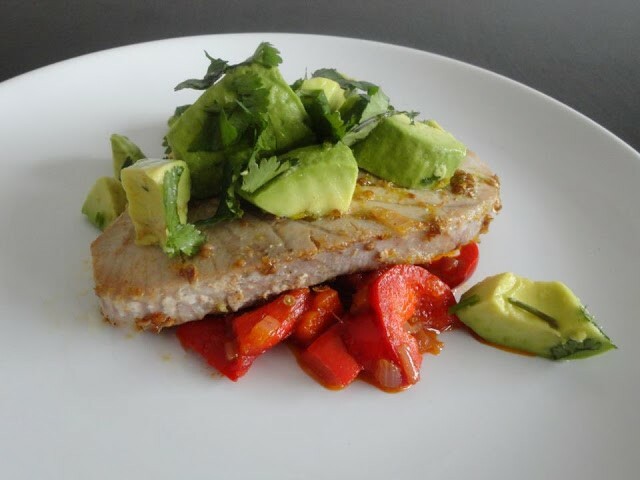 I am on a mission to eat more fresh fish this year so I decided to make something simple with fresh tuna. 1. Place the tuna on a plate and season both sides with salt and pepper. 2. Heat the oil in a large pan and add the tuna, in stages. Cook the tuna over a high heat for two minutes on each side, or until cooked to your taste. 3. For the salsa, place all the ingredients in a bowl and stir to combine. 4. To serve, remove the tuna from the pan and place onto a serving plate. Spoon the salsa on the plate and garnish with the parsley.